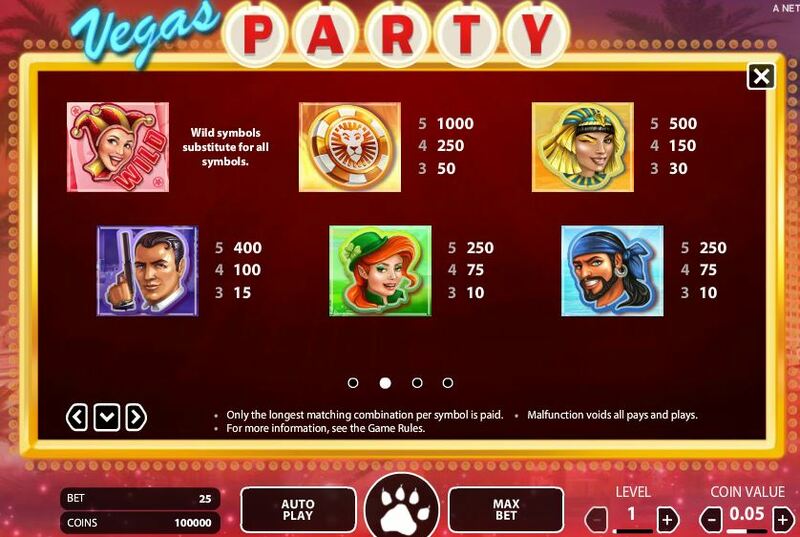 Vegas Party slot has 243 ways to win and will clone 2 to 5 reels every spin. 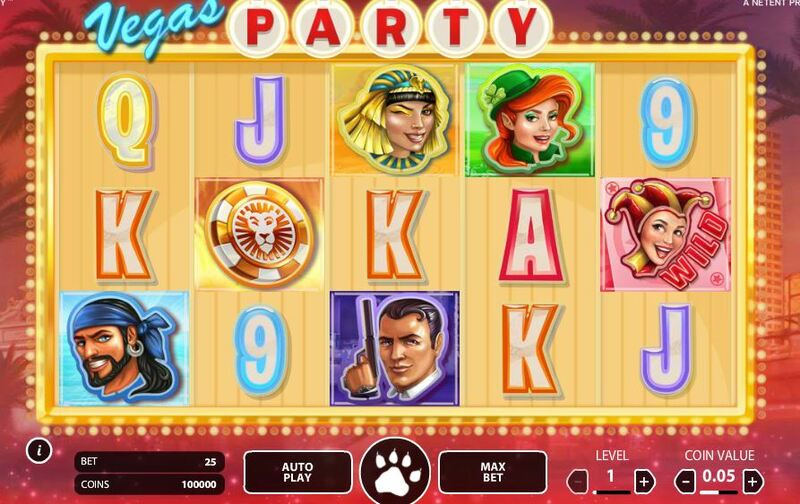 The game is the original that was cloned to form Twin Spin and later Fantasini slot. 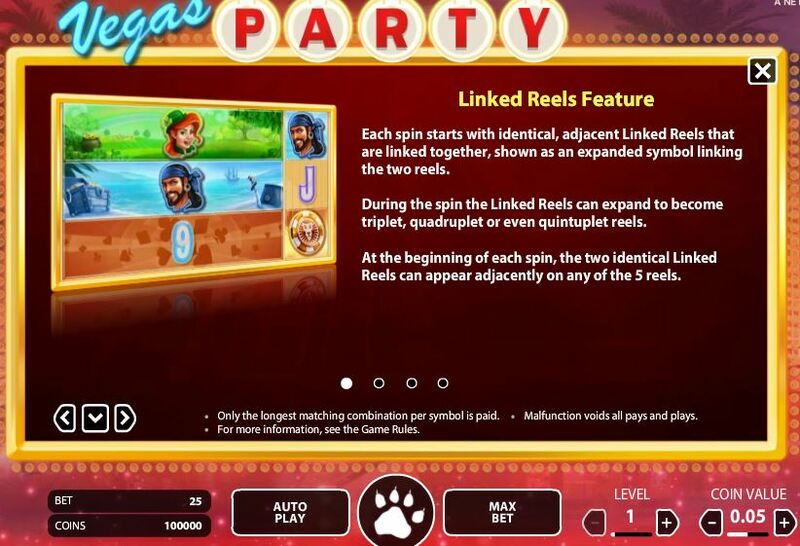 The slot is basic without free spins/bonus feature aside from this reel cloning. On some spins the minimum 2 reels may become 3, 4 or even 5 reels conjoined. Symbols are stacked on all reels but not all symbols on every reel. To get the top pay of 1080x stake you need the last 3 reels to join and give stacked Leos with one appearing on reels 1 and 2 for 27 ways of 40x stake. There are single Wilds on all reels too. The maximum for 5 reels joining is 388.8x stake when they all display stacked A, K or Q. RTP is 96.60%.